the new industry standard for bioanalysis work. Bioanalysis has become the key part of the pharmacokinetic/pharmacodynamic characterization in drug discovery and during various stages of drug development. Bioanalysis is defined as the quantitative measurement of analytes in biological matrices, including tissue, blood, serum, urine or other body fluids. Bioanalytical method validation and regulated bioanalysis are an integral part of a drug development program. Various laboratory platforms have been used to analyze chemical-based drug candidates, such as, but not limited to, high performance liquid chromatography coupled with tandem mass spectrometry (HPLC-MS/MS), liquid chromatography with ultraviolet detection (LC-UV), and others. At the onset of method development, scientists carefully evaluate the properties of the analyte of interest, and its metabolites, against the currently available technological platforms. 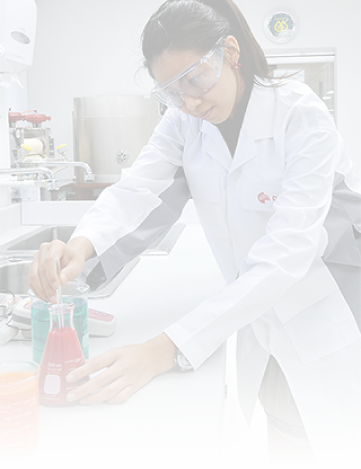 Because a bioanalytical method can be executed for both clinical and non-clinical samples and during method development, the scientists can proceed with method validation and bioanalysis adhering to Good Laboratory Practice (GLP), other regulatory guidelines and laboratory-specific Standard Operating Procedures (SOPs). Exemplar initializes a bioanalytical method by tracking the subjects, treatment groups, and chain of custody of a sample throughout the lifecycle of a study. Additionally, Exemplar performs and maintains verification of instruments and laboratory's calibration, and reagents against defined controls and expiration dates prior to the execution of a method and specific to a study. 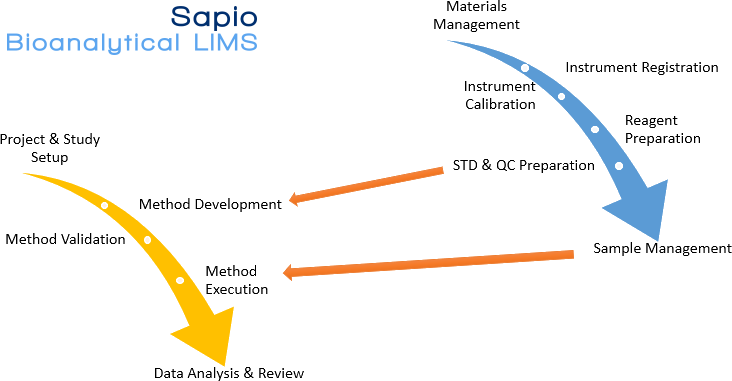 Predefined Exemplar LIMS templates will complete the remaining portion of the bioanalysis workflow(s). Exemplar has an extensive Project and Study management tool enabling the definition of all key aspects of both clinical and non-clinical studies. Treatments, Treatment Groups, Assays, Subjects, Dosing, etc. (all part of a study) are all tracked within Exemplar. Exemplar has implemented calendar and scheduling features to show upcoming scheduled events like dosing and operations, (measurements) such as tumor size, body weight, etc. to be taken on subjects. On the market since 2007 and used by leading companies around the world, Exemplar is a web-based application with a responsive interface that was designed with ease of use and flexibility of configuration as its guiding principles. Exemplar includes integrated data searching, data visualization tools, and charting of Key Performance Indicators (KPI) from the collected intelligence within the system. Exemplar operates as a workflow-based system that is amenable to any laboratory process. Our highly visual templates guide the user through the process steps at time of process execution and can prompt for e-signatures at key information gathering/evaluation points in the process. Importantly, Exemplar is the leading informatics platform meaning that its functionality can easily be extended via configurations, and customizations via our state-of-the-art plugins. All data views are also configurable as are dashboards, home pages, workflows, etc. Exemplar also includes a Rules Engine for quick implementation of complicated workflow rules with no programming required. To assist with regulatory compliance, Exemplar is pre-validated with available validation documentation scripts to facilitate usage in a clinical setting. This saves significant time and money as Exemplar's ready to use out of the box both from a functional and a compliance perspective. Exemplar is a complete solution to the bioanalysis pipeline. It addresses all the key components of the bioanalytical process from Project and Study setup, sample prep and processing, through method design and execution. Most process areas are fulfilled via workflow templates for an easy to use, intuitive experience for the end user, thus reducing training requirements to ensure system adoption. Instrument integrations are also in place to enable drag and drop loading of data followed by data analysis in visual and interactive displays.